Technology is a “two-edged sword”. It can be a time waster. It is easy for someone like me to “gamify” technology, so the very acts of using it and learning from it provide surges of dopamine pleasure which divert me from the actual boring tasks at hand. And, social media has a “siren’s song”. It is serious work to keep social media from being a time waster. When well done, it is a life enhancer. But, it also causes me to look back on a wonderful two-day seminar like last week’s 59th annual West Virginia Association for Justice Annual Meeting and Seminar knowing that I missed 25% or 30% of what I should have learned because I was tending to things back in the office, looking up things that the author was talking about, and even writing emails to the presenter. And it is a great time to update and reorganize the apps on my iPad desktop! It can also allow me to write three rough drafts of blog articles using Nuance’s’ “Dragon Anywhere” in fifteen minutes while waiting for my wife to finish up at church. I went through approximately 15 versions of Dragon Naturally Speaking, each one promising “this is the one that really works”, until I got to a point where it truly enhances my ability to get things done. The new versions are “Dragon Professional” and “Dragon Anywhere”, $150 each. I estimate the accuracy to be approximately five times that of Siri’s voice to text and twice as good as “Dragon Go”. Yesterday I met with a returning client. Her reconciliation efforts had failed. We already have her divorce petition and motion for temporary relief, but, using the built-in questionnaire and features of the document assembly application “Pathagoras”, I was able to rough out her parenting plan agreement, property settlement agreement, and final divorce order in our initial to our meeting. The key is using consistent “variable labels”, so that a saved database of information entered into the first form can fill in the same “variables” in the others. It is a generalization, but the family law bar is not a coherent group. The family law lawyers don’t meet regularly, they don’t market themselves well, and they don’t take well to technology. There are exceptions, especially in the larger urban areas where the divorce lawyers who cater to the doctors and bankers and the lawyers can make pretty good money and use it for staff and technology. While no family law colleague has refused my request to borrow a form, I have failed to get the family bar to develop Pathagoras form banks. Our clients are the losers! 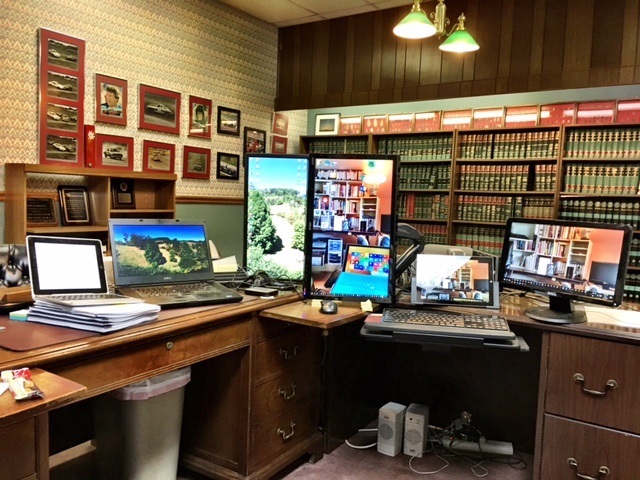 I take satisfaction in knowing that my use of technology, our office systems, and our trained staff allow me to keep fees much lower than other similar experienced counsel. In the last three months, as I phased-out of some out-of-office activities such as seminar presentations, board membership, and other activities, we have made some real breakthroughs in our technology which I intend to carry through for the next 10 years, hoping to complete 55 years in the practice of law and to finish on a high note. Technology will be a key.